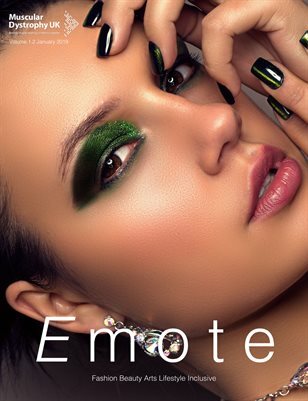 Emote Mag V.1.2 Jan 19 On the Cover Erika Žukauskiene. With Make Up by Andy Walther. Fashion, Beauty, Arts, Lifestyle, Inclusive. in aid of Muscular Dystrophy UK Charity.